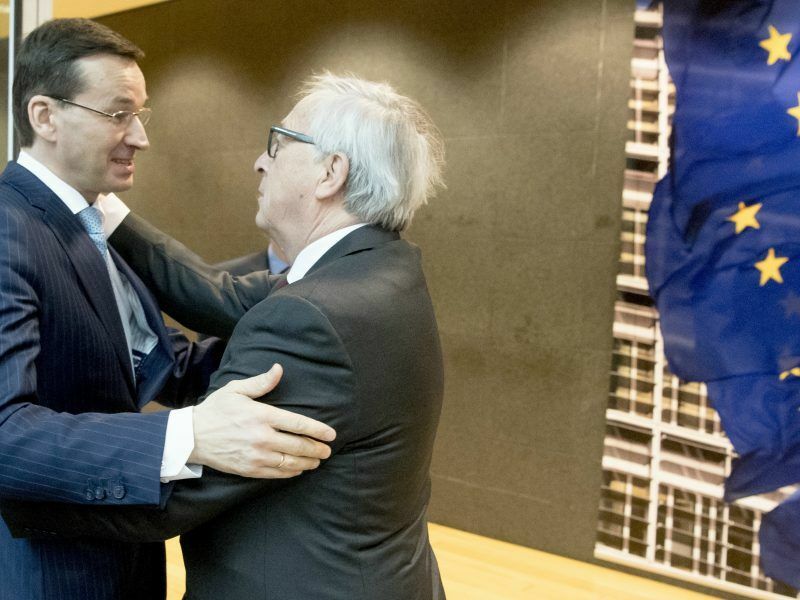 “This is not something that we want to drag out for months and months; we need now to try to come to solutions as quickly as possible,” Timmermans told reporters in Warsaw. Brussels in December triggered Article 7 of the EU treaty over what it sees as “systemic threats” to the independence of the Polish judiciary from the country’s rightwing government — a move that could lead to never-before-used sanctions. Poland, the biggest ex-communist EU state, stands accused of subjecting courts to more government control since the nationalist-minded, eurosceptical Law and Justice (PiS) party won power in late 2015. Under the overhaul, the justice minister was given the power to fire court heads without providing justification and subject to no review. Among other measures, PiS also decided to cut the terms of Supreme Court judges, retiring 40% of them. The new Supreme Court judges will be appointed by the president who is a PiS ally. This politicised Supreme Court will decide directly about the validity of election results. Last month PiS offered some concessions in the spat with the EU, but the Supreme Court called the changes “illusory”. Warsaw says the changes were necessary to push aside judges left over from the Communist era. It also says that the reforms will improve the way and speed courts in Poland function. Poland’s government, rejecting claims that its reforms dismantle the separation of powers enshrined in EU treaties, has argued the changes are necessary to remove the last vestiges of communism from its justice system. Poland had three months to reply to the EU’s concerns. The foreign ministry said in March that it had met the deadline, without specifying the contents of its response. A lawmaker from the governing Law and Justice (PiS) party, Marek Ast, however, announced that a draft law would be introduced to slightly modify the reforms. 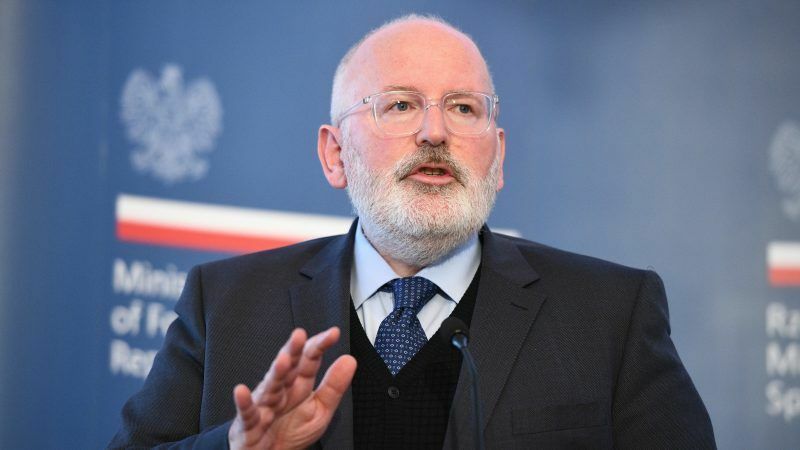 “I have sensed a strong will on the side of the Polish government to come to solutions; there is a strong will also on the side of the commission,” said Timmermans at a joint press conference with Poland’s foreign minister after a day of talks with senior officials. “But the proof of the pudding will be in the eating and the pudding is not the table yet,” he added. For his part, Polish Foreign Minister Jacek Czaputowicz warned that “there is the danger that we will propose solutions and that the European Commission will remain unsatisfied”. It could be stripped of voting rights in the bloc under the Article 7 procedure — covering systemic threats to the rule of law — which has never been used against an EU state. 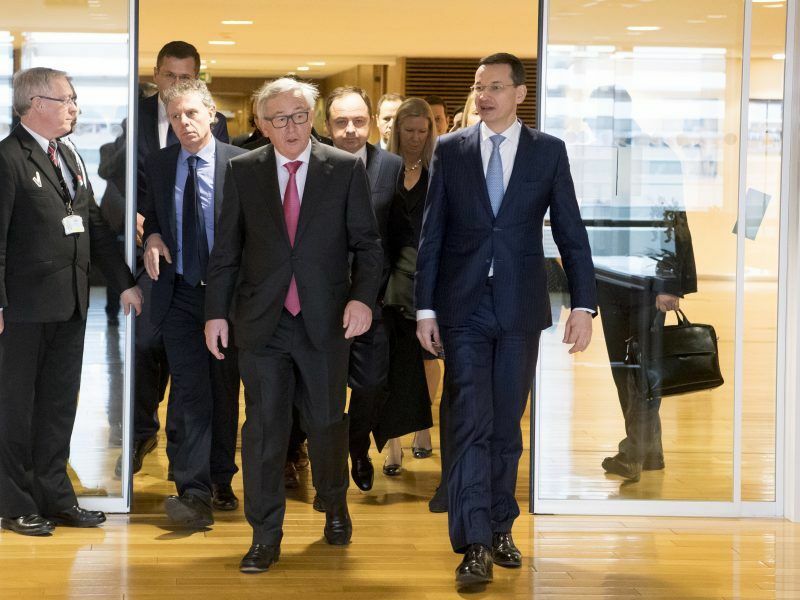 However, Poland’s ally Hungary, which has also clashed with Brussels over democracy issues, has vowed to veto any sanction. we would suggest that you speak up for Palestine, France and Zad, Syria and SH@T THE F@CK UP for Poland and Hungary. You can also come together with the GONGOs that you fund, and talk about dieselgate or the second Russian gas pipe to Germany. Of course this is an advise. You can do whateva the f@ck you wanna do. An unelected commissioner of the European Politburo ordering an elected government to do as it’s told … or else ! … ? And then the pro EU fanatics wonder why people compare Brussels with the USSR and Nazi Germany.